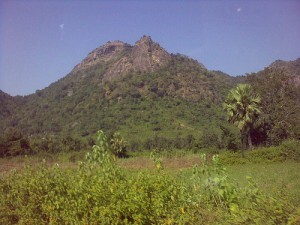 Purulia district is the westernmost district of West Bengal. The native home of Mahato Bhumija and Santhal tribes, Puruliya is better known for its masked chhau dance. The melodious Tusu Song festival is unique in this region. Predominantly an agricultural district, 80% of India’s lac is produced here. Puruliya town is the headquarters of this district. Air: The nearest Airport is at Kolkata. Rail: The district is well connected by train services with other parts of the district. Road: National Highway 32 runs across Puruliya district. Ayodhya Hills: Located amidst hilly landscape of Sal and Segun forests, Ayodhya Hills is a land of forest-clad hills, bracing climate, beautiful waterfalls and natural springs. The land is equally proud of its inhabitants – the Santhals – a friendly hospitable and simple people. The sparkling Bamni and Turga waterfalls are truly worth visiting. Balarampur: This small town contains ruins of ancient Jain temples. Together with Jhalda, Balarampur is the major producer of Indian lac. Trinkets and other craft items made of lac are available here. Baghmundi: Known for its terracotta figures, the “at chala” temple, an octagonal Rasmancha with nine pinnacles and the Pancharatna Siva temple are the interesting sites here. This entry was posted in Purulia, West Bengal. Bookmark the permalink.